The cottage where the Coolidges stayed in 1926. Photo courtesy of Todd Moe. 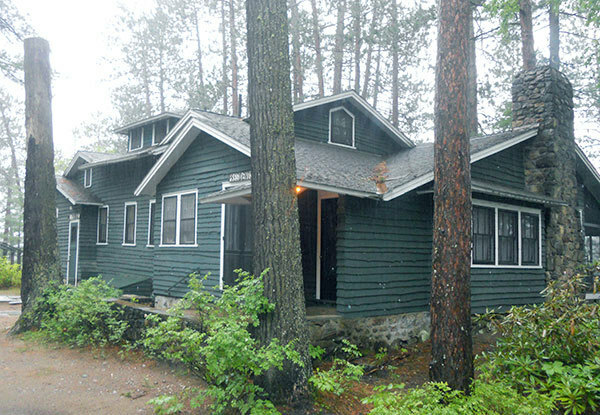 Todd Moe over at North Country Public Radio offers this short piece remembering that the President and First Lady Coolidge stayed here in these cabins through the summer of 1926. It was remote and there were plenty of hardships for the family that year but the Coolidges held tenaciously to the belief that time away from Washington is not only good for those chosen to occupy the White House but especially good for the country. Coolidge would add: it is beneficial for the Congress to get back out to the country during summer recess too and reconnect to reality. ← Did Coolidge Visit Dade City?